Packaging is supposed to be light and handy, neat and durable, microwaveable, and also environmentally friendly. The requirements for manufacturers increase constantly. Yet, these efforts are worth it, reports Oliver Kutsch, CEO of the market research company Ceresana: “Sales of plastic films will presumably reach a volume of about 250 billion US dollars until 2024.” Ceresana analyzed the global market for flexible plastic films of all kinds already for the second time. These include besides packaging, such as bags and sacks, also films for, e.g., agriculture, the construction industry, and technical applications. Digital printing offers new possibilities for the design of packaging. Precondition for this is, however, that it is easy, fast, and optically of high quality to print on the films. Increasingly complex packaging is especially in demand for pharmaceutical products and fresh foodstuffs. MAP conserves foodstuffs with an artificial protective atmosphere from fast decay. Microwaveable packaging is a growing segment as well as stand-up pouches or individual packaging that offer a better dosing and durability. The market for packaging that is considered ecological is growing particularly rapid. Ceresana forecasts demand for bioplastics for packaging to increase by more than 15% per year in Europe alone. Films made of recycled plastics will increase as well. Yet, more conventional materials remain in demand as well: The analysts expect a growth by, on average, 4.0% p.a. in the near future for global demand for polypropylene films (BOPP). Besides the trends of the packaging market, numerous other factors influence the demand for plastic films on several national markets as well. For example, many countries try to contain the demand for disposable carrier bags. Demand for secondary and transport packaging such as shrink and stretch films depends to a large extent on the macroeconomic development and the consumer climate of the respective country. In some regions, efforts to intensify the agriculture lead to an increase in use of agricultural films. The order situation of the construction industry determines the demand for construction films. 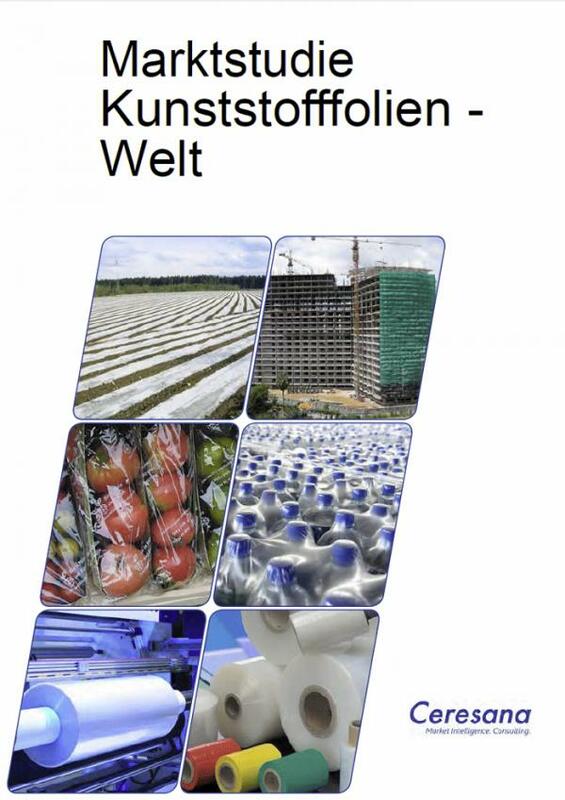 Chapter 1. provides a thorough presentation and analysis of the market for plastic films – including forecasts up to 2024: Demand development as well as revenues and production volumes are analyzed for each individual region. Chapter 2. examines 18 important countries in more detail: Data on demand, revenues, and production split by types of films as well as import, and export is provided. Demand is analyzed for application areas as well as for types of films. Chapter 3. depicts the several sales markets on a regional and country level: packaging films, bags and sacks, shrink and stretch films, agricultural films, and other films. chapter 4. the demand for the individual types of films on a regional and country level is depicted. The demand for films made of polyethylene (PE), polypropylene (PP), polyethylene terephthalate (PET), polyvinyl chloride (PVC), and other plastics is examined in particular. Ceresana is an internationally leading market research and consulting company for the industry. For 15 years, Ceresana has been supplying several thousand customers from 60 countries with up-to-date market intelligence. Extensive market knowledge creates new prospects for strategic and operational decisions. Ceresana’s clients profit from implementation-oriented consulting services, tailor-made single-client studies and more than 100 independent multi-client market studies. Ceresana’s analysts are experts on the following markets: chemicals, plastics, industrial goods, and packaging.